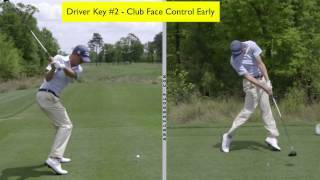 One aspect of the club path that is related to driving consistency is known as the "flat spot". 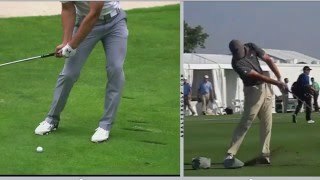 With some of the best drivers in the world, we are going to notice a couple distinct characteristics of how the club moves roughly a foot before and after impact. 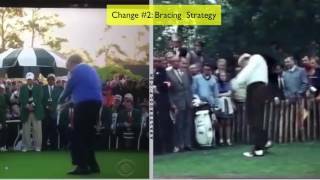 That is, we will typically see the club delivered on a path that stays very close to the ground for a long period of time; this creates a longer "flat spot" and provides margin for error. 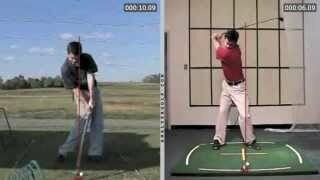 On the other hand, players that struggle off the tee will have a path where the club head changes height rapidly before and after impact; this effectively shortens their "flat spot" and requires more timing and coordination. 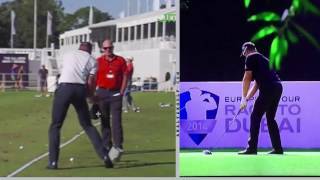 Swing Analysis - Alex Noren Understand how Alex Noren's unique pre-shot routine has improved his ball-striking. Analysis - Rate of Closure on Video Can you see if you have a high or low rate of closure on video? 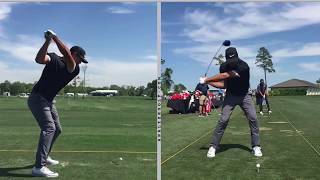 Analysis - Champions Tour Driving See how elite ball strikers on the Champions Tour drive the ball. Wipe Analysis - Back Side Visual It could be easier to see the wipe movement from behind rather than face on. 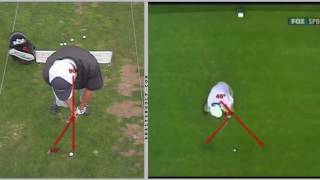 Analysis - Club Path Through The Release Are you a high-to-low, or low-to-high, kind of golfer? 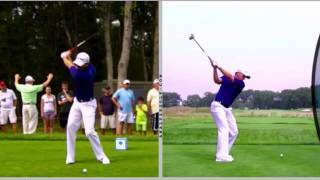 Analysis - Low, Spinning Wedge See how pros hit low wedge shots that spin. 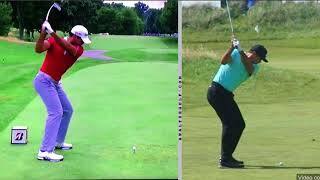 Analysis - Husky Golfers How does the stock swing vary when looking at golfers who have a belly to work around? 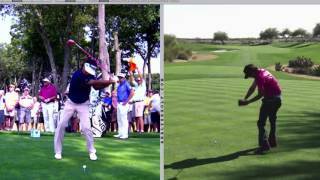 Sway Analysis - Pros Vs Ams The sway pattern is any amount of lateral movement, in the backswing, away from the target. 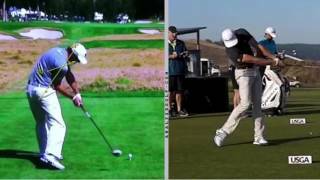 Loss Of Posture Analysis - Pros Vs Ams The loss of posture pattern is a way of making a backswing without enough side bend. 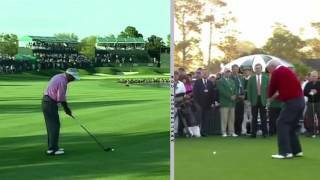 Early Extension Analysis - Pros Vs Ams The early extension pattern is a useful movement that can help with path, face, or power...but is rooted in inconsistency. 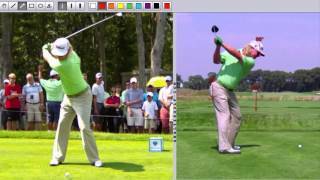 Cast Analysis - Pros Vs Ams The cast pattern is a way of swinging the club that releases the energy in the arms too soon in the downswing. 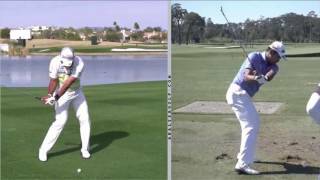 Release Analysis - Pros Vs Ams In this video, I walk you through the differences between professional golfers and amateurs during the release. 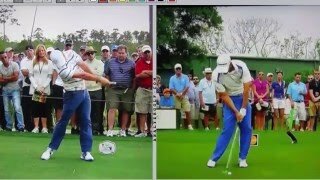 Transition Analysis - Pros Vs Ams In this video, I walk you through the differences between professional golfers and amateurs during the transition from backswing to downswing. 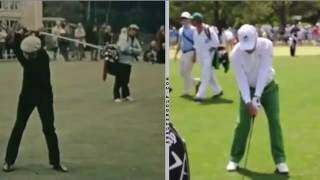 Backswing Analysis - Pros Vs Ams In this video, I walk you through the differences between professional golfers and amateurs during the backswing. 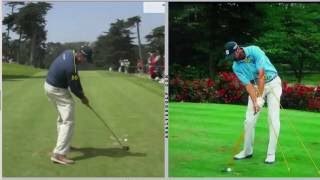 Set Up Analysis - Pros Vs Ams In this video, I walk you through the differences between professional golfers and amateurs during the set up. 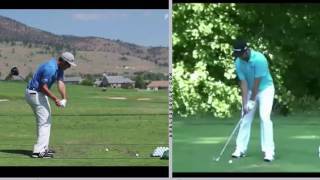 Follow Through Analysis - Pros Vs Ams In this video, I walk you through the differences between professional golfers and amateurs during the follow through. 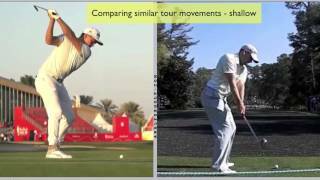 Impact Analysis - Pros Vs Ams In this video, I walk you through the differences between professional golfers and amateurs during impact.